Prague is easily one of Europe’s most popular destinations and considered one of the world’s most beautiful cities. It really is no wonder why the city is full of enough beauty to enchant anyone. My first visit was back in 2007 and the city left an impression on me no other place has. Since then I have been on a mission to return, and we finally did. Prague did not disappoint. All of my memories and wanderlusting to return for the past 10 years were all met again by returning. Except this trip was different. This trip we spent more time getting to know Prague, exploring the neighborhoods, and spending more time in the city and falling in love with it all over again. 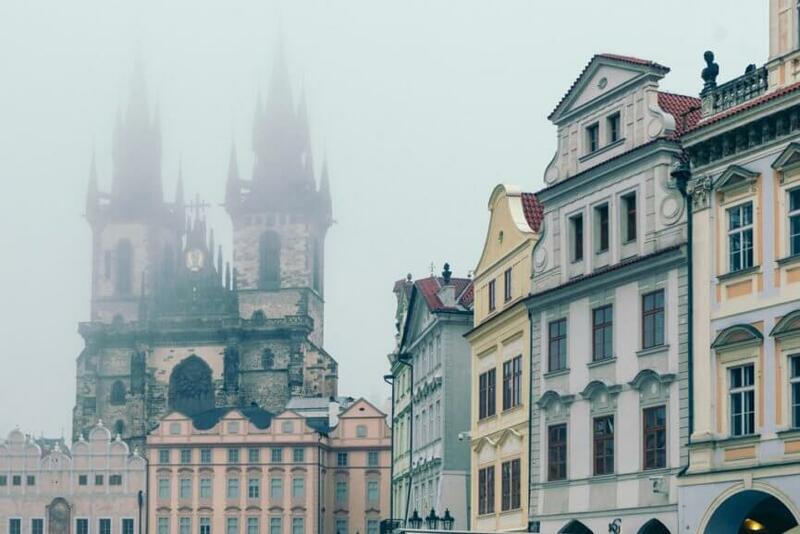 Prague is a must visit destination, no matter what season. 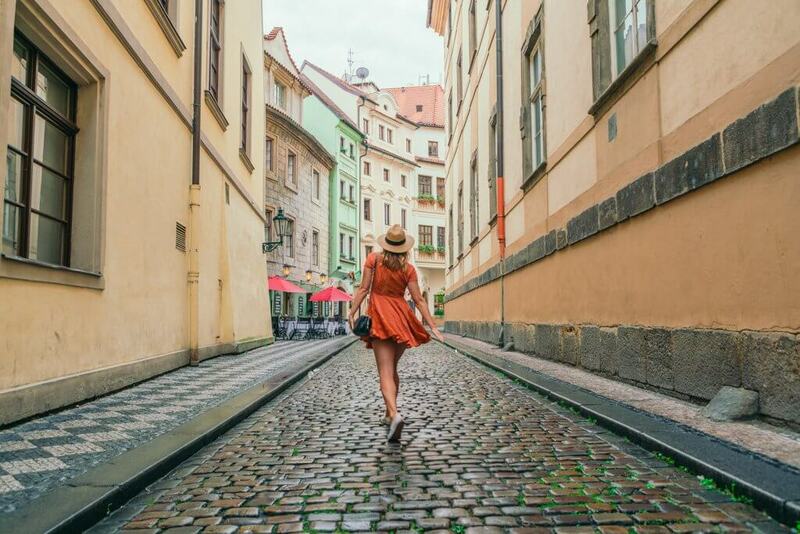 Check out our guide for where to go and the best things to do in Prague from two people who are madly in love with this gorgeous Bohemian city. Be sure to check out our tips on where to go in Prague to avoid the crowds! 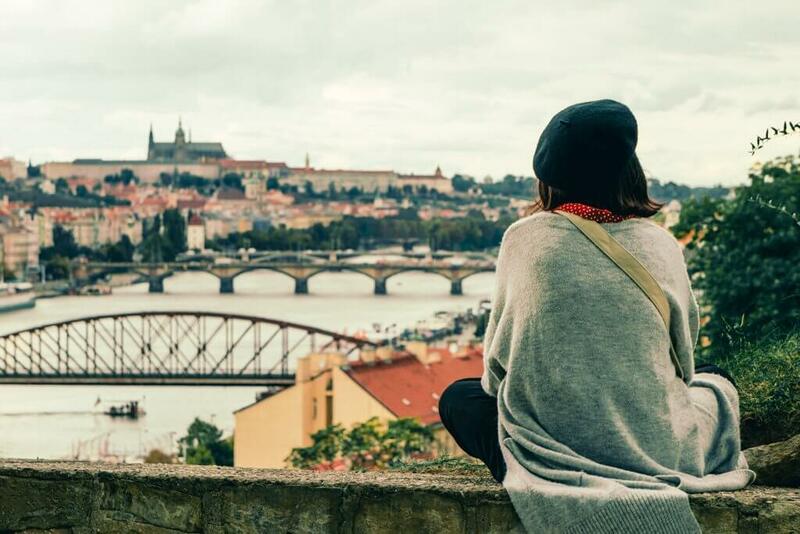 Also, check out our guide for where to stay in Prague to help you plan your trip. 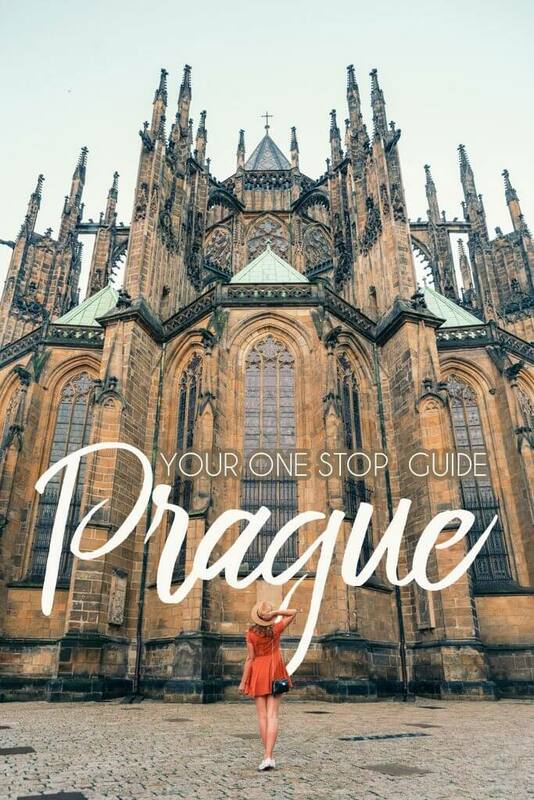 Be sure to also check out our Czech Republic travel guide for the best tips for traveling not only in Prague but the rest of the country. 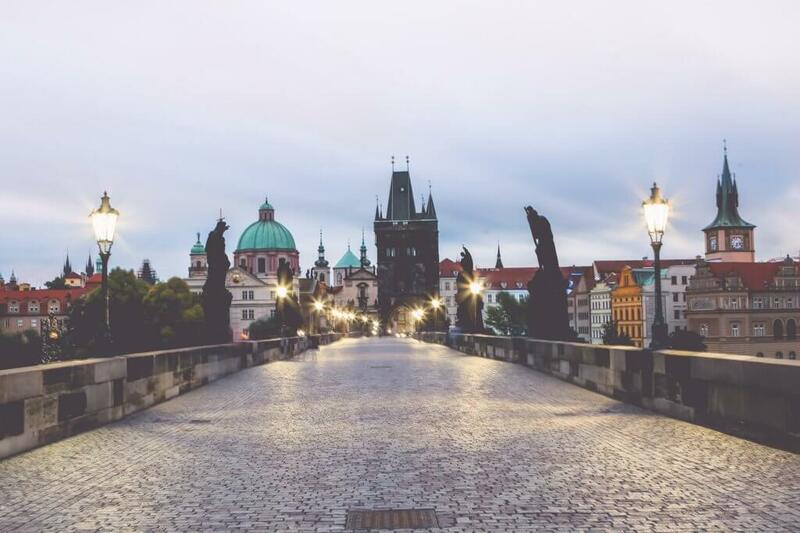 The most iconic spot and one of the top things to do in Prague is the Charles Bridge. Built during the reign of Charles IV, this bridge is over 660 years old and lined with 31 sandstone statues of saints. If you want to avoid the crowds on this popular tourist spot we recommend coming at the crack of dawn or very late at night. When you’re visiting be sure to find the St. John of Nepomuk statue with the ring of gold stars around his head and touch the dog. It is said you will return to Prague if you do this. The large castle complex on the hill overlooking the rest of the city is one of the best things to do in Prague. 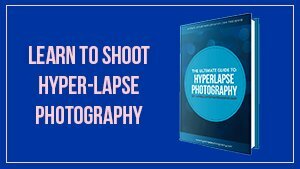 You can easily do this on your own, or if you want to learn more information be sure to do a tour (mentioned below). 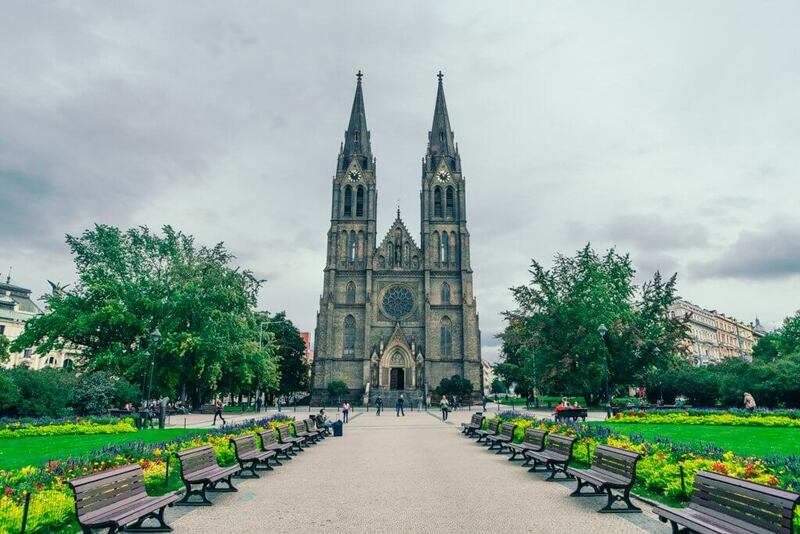 The most impressive spots up here in our opinion is St. Vitus Cathedral and the adorable Golden Lane. Try to come up here early in the morning to beat the crowds. Also known as Josefov, this is the old Jewish Ghetto of Prague with a dismal history. We recommend taking a historic tour, free or guided through the quarter. You will learn about the different synagogues and Jewish cemetery as well as information about the Nazi occupation. 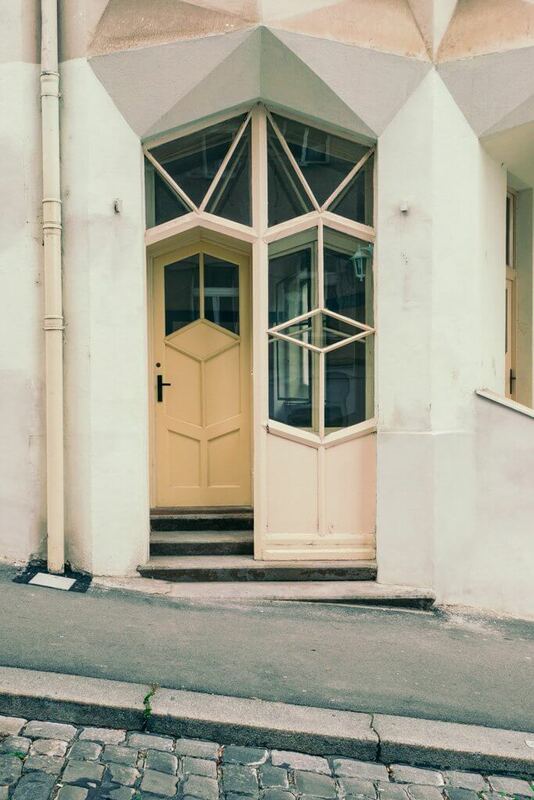 One of the most interesting stories from Prague’s Jewish Quarter is the story of Nicholas Winton who saved more than 600 children during WWII from here. Separating Old Town from New Town, Republic Square is where to go in Prague if you’re looking for shopping, food, or more gawking at the beautiful architecture. There are two shopping centers here including the semi-newly opened center, Palladium. Outside of Palladium are different food and beer stalls to snack on, we enjoyed the sausages and grilled cheese from here! The Municipal House here is also a wonderful example of Art Noveau architecture. A popular meeting point and iconic spot in the city, Wenceslas Square is the heart of New Town in Prague. You will find many restaurants, bars, and shops around this area as well as the National Museum. While you may not spend alot of time here, you at least need to walk through the square and see this famous spot for yourself. This is the area below Prague Castle overlooking the Vltava River with incredibly picturesque buildings. There are plenty of great restaurants, shops, museums and hotels on this side of the river. 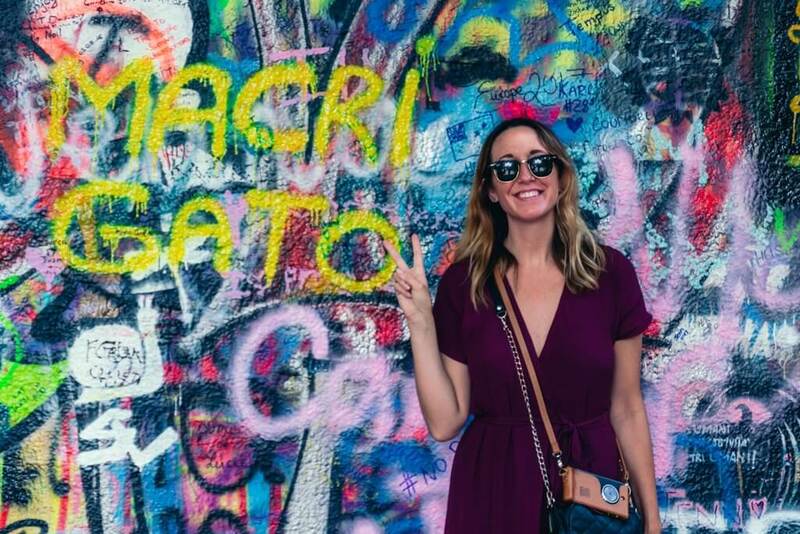 Be sure to stop at the Lennon Wall, which was once a place where locals spread messages of love protesting communism and have become a symbol of where there are still positive messages left today. You can also check out the Wallenstein Park where you will see free-roaming peacocks everywhere! Also known as Prague 10, this area is one of the lesser known spots and where to go in Prague for people who like to get away from the touristy attractions and crowds. You can enjoy the colorful and beautiful bourgeoisie style homes and a bite to eat or a cup of coffee at some of the best spots in the district. This area really comes to life in the evenings, during the day you won’t find too much to do. Vinohrady or Prague 2 literally translates to vineyards and used to be where actual vineyards were until the city grew. Nowadays, this area is a trendy area for great food and a charming neighborhood to hang out in or get a cup of coffee at its cool cafes. 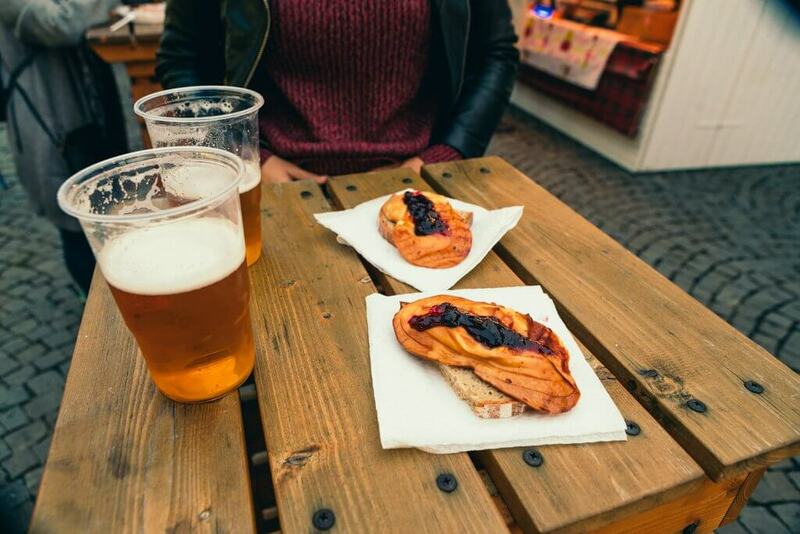 Don’t miss out on Riegrovy Sady park’s beer garden! Also, there’s a gorgeous Art Deco theater here and an impressive Neo-Gothic Church St. Ludmila. Zizkov or known as Prague 3 borders Vinohrady and shares that incredible Riegrovy Sady Beer Garden. 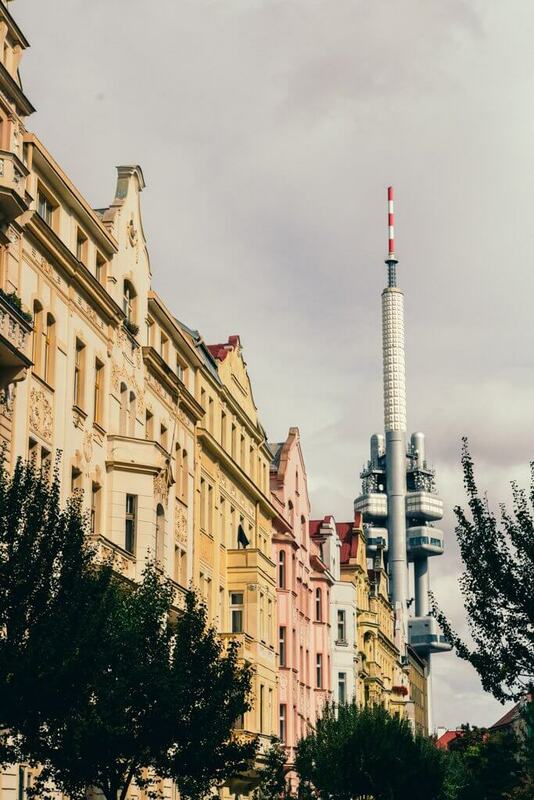 Besides delicious beer with a good view of a city it is also where to go in Prague to find the 2nd ugliest building in the world, Zizkov Tower. 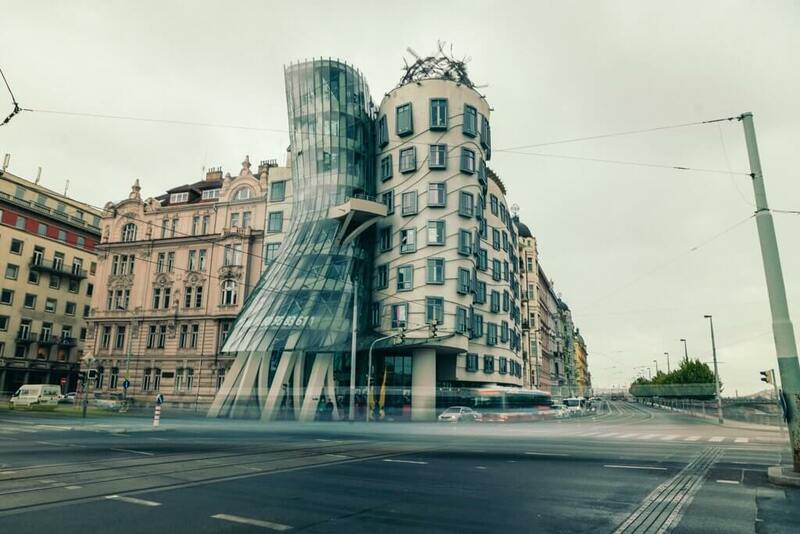 You can’t miss this giant structure in Prague’s skyline and when you’re up close you’ll even see giant peculiar baby statues climbing the building. 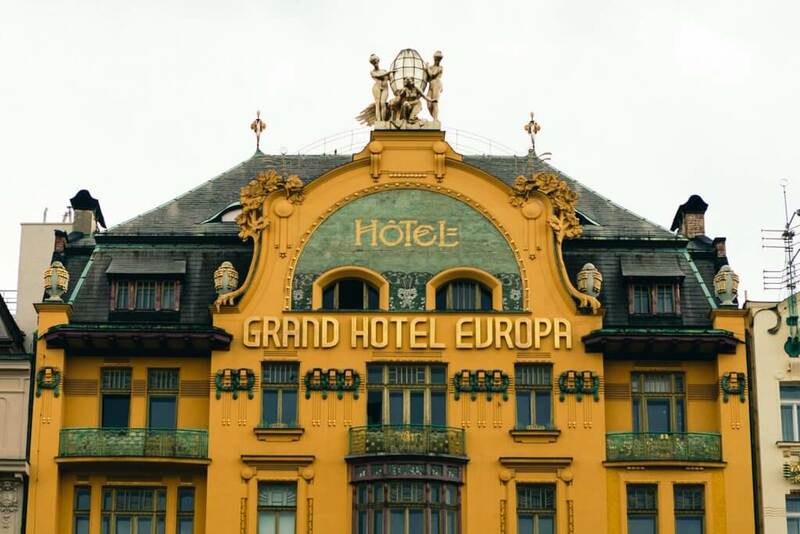 Check out this interesting article covering a day in Zizkov by the Guardian. We enjoyed sipping on cocktails on the 3rd floor with an amazing view of Prague. 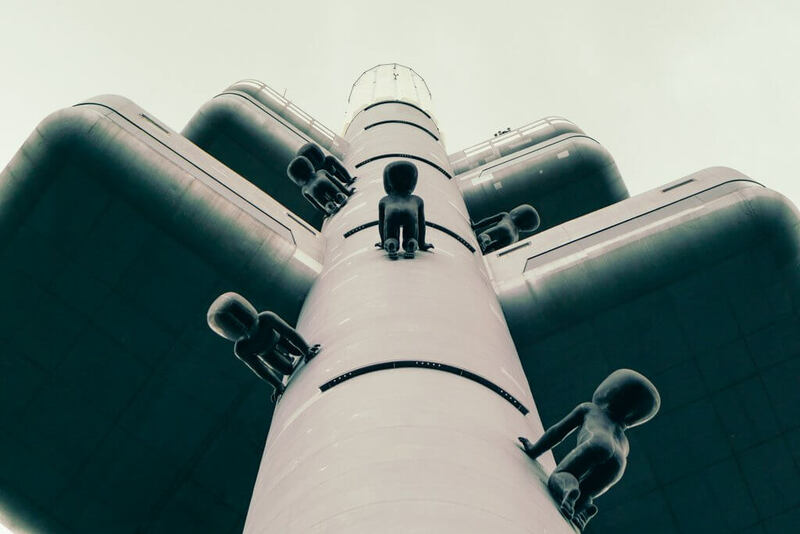 Update: as of our visit of August 2018 the climbing babies are gone from Zizkov Tower, apparently they are a part of a moving art exhibition and they have moved elsewhere right after our visit last year. 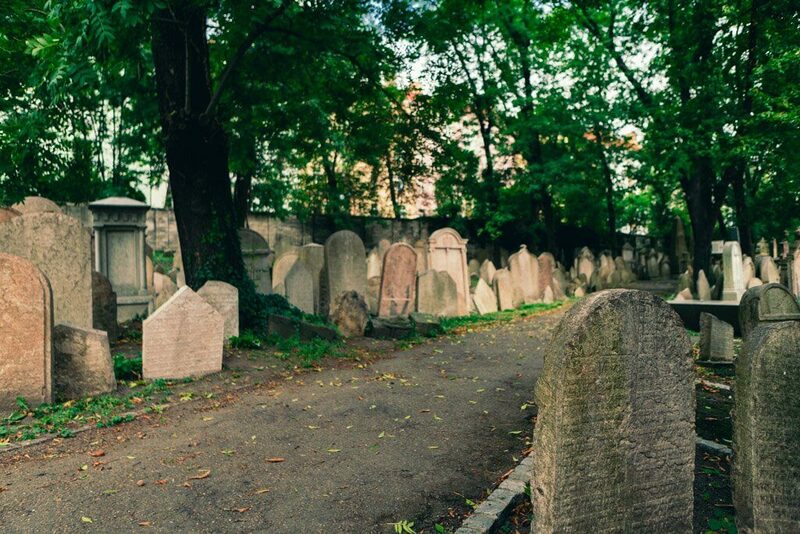 There’s also mini golf here and a Jewish Cemetery you will want to check out. 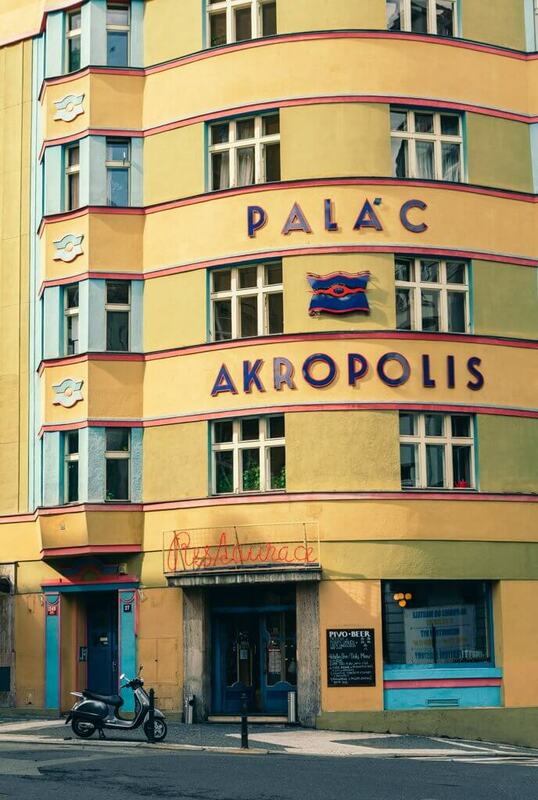 You won’t want to miss the Akropolis theater here either, the exterior looks like something straight out of a Wes Anderson Film. If you need a new pair of kicks check out the Botas 66 store across from the TV tower, they are all locally made! 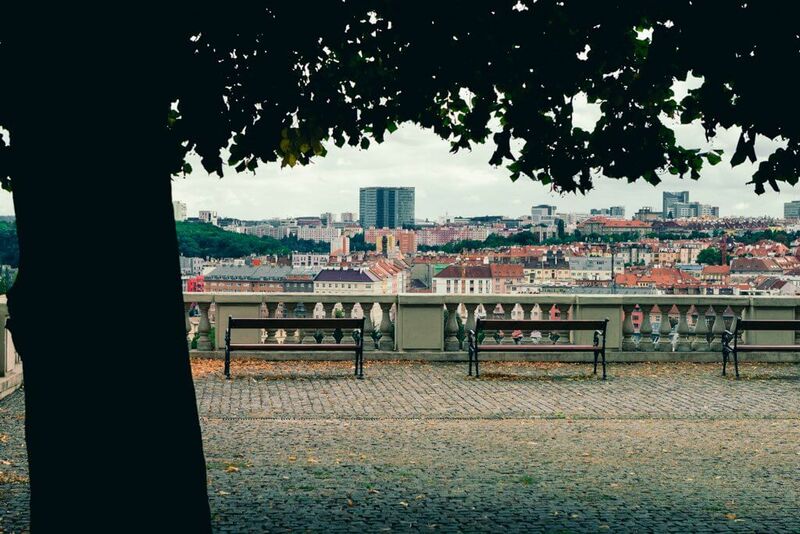 Also known as Prague 7, Letna boasts one of our favorite views of the city from Letenske Sady. 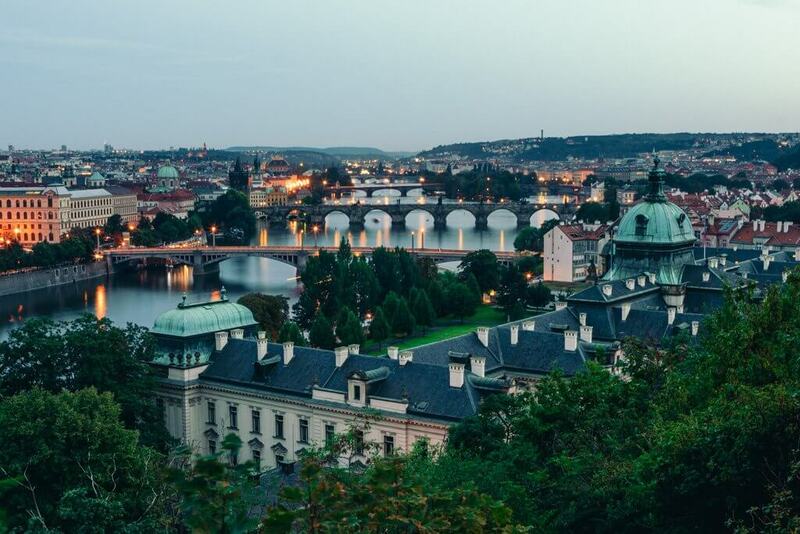 This is where to go in Prague if you love food, beer, and great views. During our visit, there was some sort of event going on during the evening where there were food trucks and tents selling tasty food and gathering a large crowd of locals. We also recommend Letna Beer Garden. 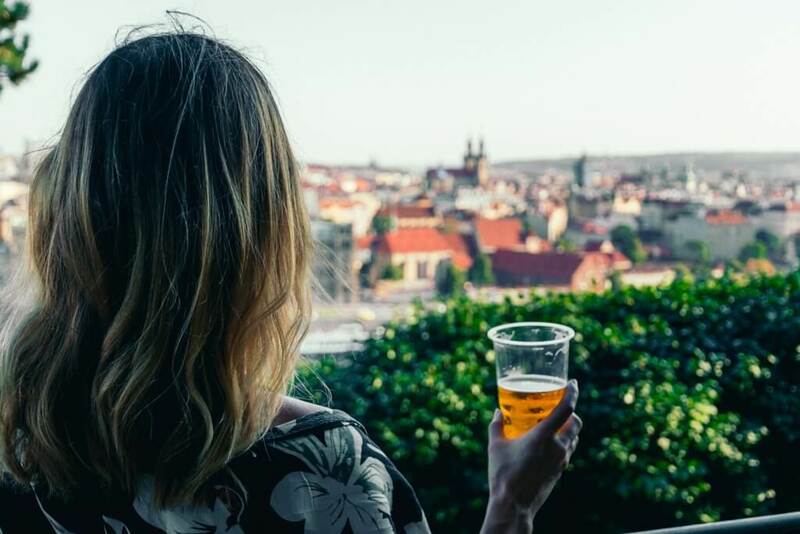 Sip on a beer while overlooking Prague Old Town from the other side of the Vltava River and Charles Bridge. It was such a scenic spot to enjoy a beer. Also, be sure to check out the giant red needle, Metronome Monument. This area started to come to life towards sundown where young people gathered with their own bottles of booze or around the beer stands to hang out overlooking the city. 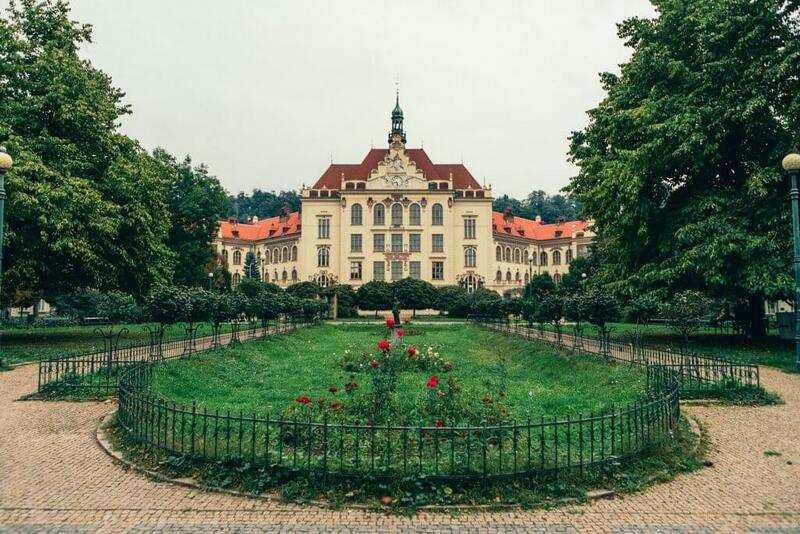 Also known as Prague 8, Karlin is another lesser known spot in the city for tourists and one of the best things to do in Prague for people who like less crowds, food, and cool architecture. Karlin is slowly gaining popularity for its food scene. The area to us seemed like a mix of a modern hip scene with old European style architecture. Karlin Studios is a cool old warehouse turned exhibit center and of course a small beer garden that strikingly reminds us of the arts district in LA. Lyckovo Namesti Square and St. Cyril and Methodius Church are both examples of beautiful architecture in this area. 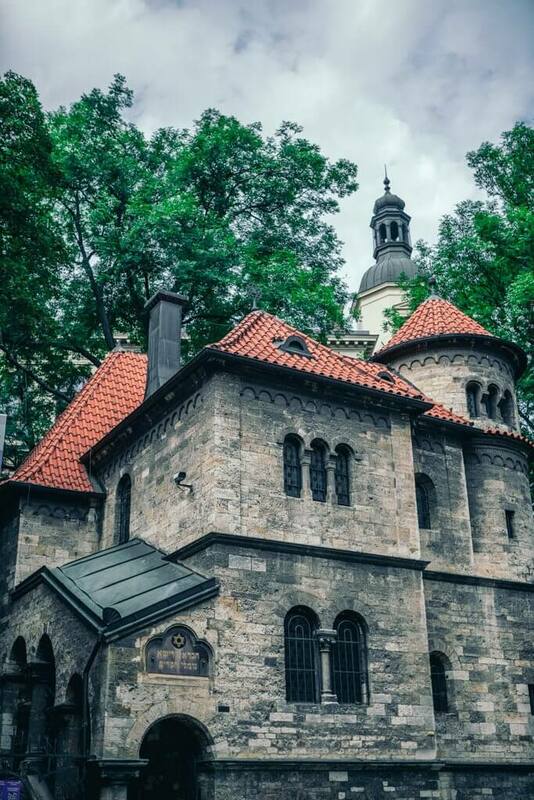 Vysehrad is one of the best things to do in Prague for those who want to see a castle without the crowds. 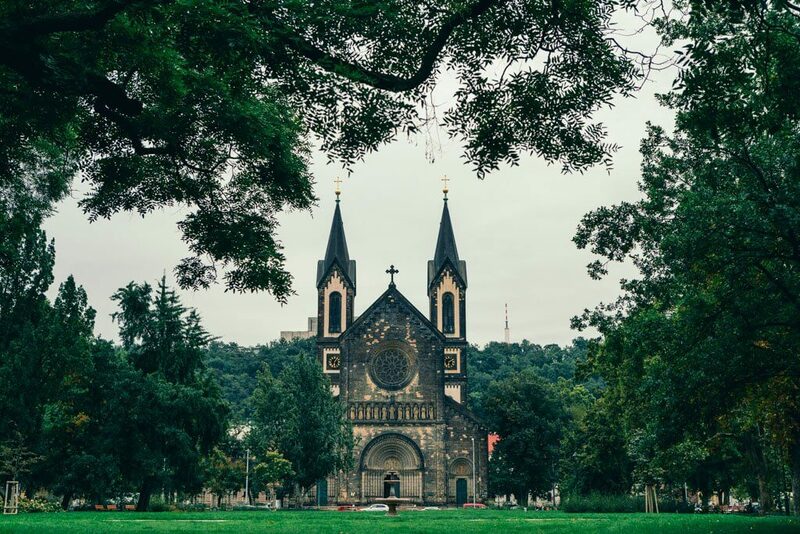 Walk along the old fortress walls and check out the impressive gothic basilica of St. Peter and St. Paul and walk through the beautiful cemetery where famous local composers, artists, and writers are laid to rest. Go over towards the gallery for a stunning view overlooking the Vltava River and Prague Castle in the distance. Afterwards, heading back towards Old Town or the Charles Bridge walk by the interesting Dancing House. Prague has its own Eifel Tower offering an incredible view of the city. Surrounded by the park, this is a great place for a romantic date. 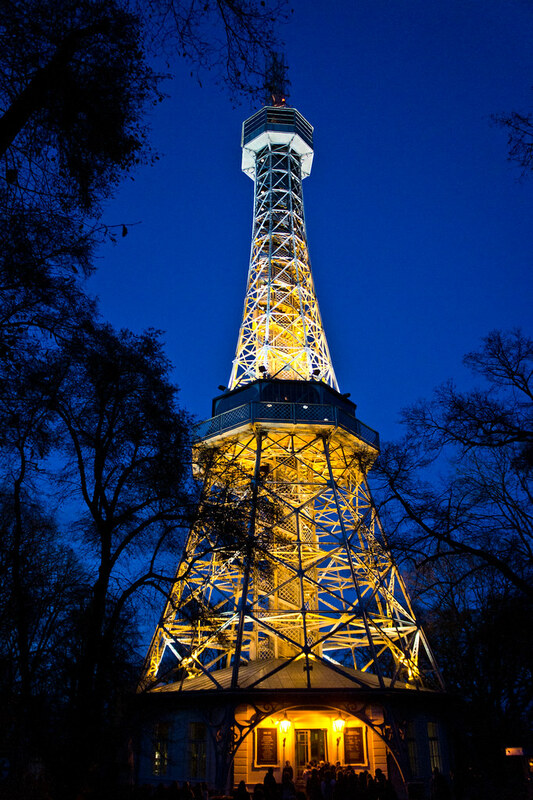 You can climb Petrin tower via 299 stairs or photograph from below. There a small pubs nearby to enjoy some beer and snacks after climbing the top. There’s even a maze of mirrors and observatory here. This is one of the best things to do in Prague for anyone looking for a romantic date spot! This 6-hour tour is one of the best things to do in Prague if you are here on a short visit. 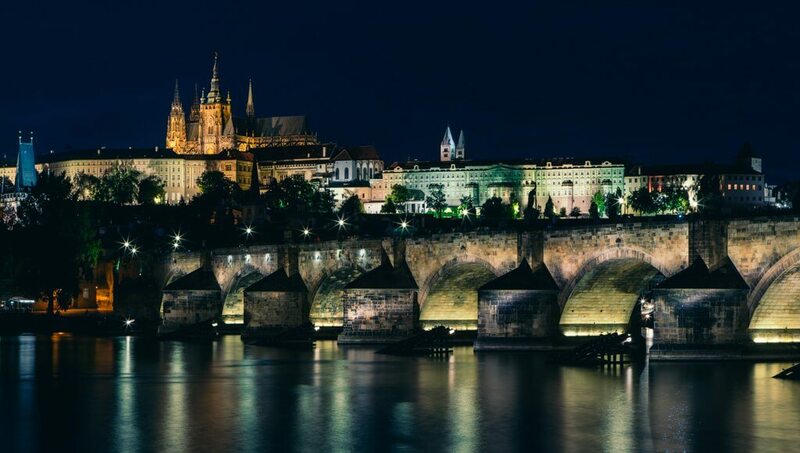 The tour is not only informative but takes you through all of the main tourist and historical spots you won’t want to miss including Old Town Square, Charles Bridge, Prague Castle, and even the boat tour to name a few. Lunch is included in a delicious Czech style restaurant. We loved this tour with Urban Adventures and thought it was a great value considering the length, meal, and incredible guide giving us heaps of information on the city and history. Czech people are the #1 consumers of beer per capita in the world. Why not see what all the fuss is about with a local beer tour of Prague with Urban Adventures? This tour lasts anywhere from 3-5 hours depending on the guide and the pace of the group and takes you around to some of the best beer spots in town including small tapas to snack on with your cold brew. 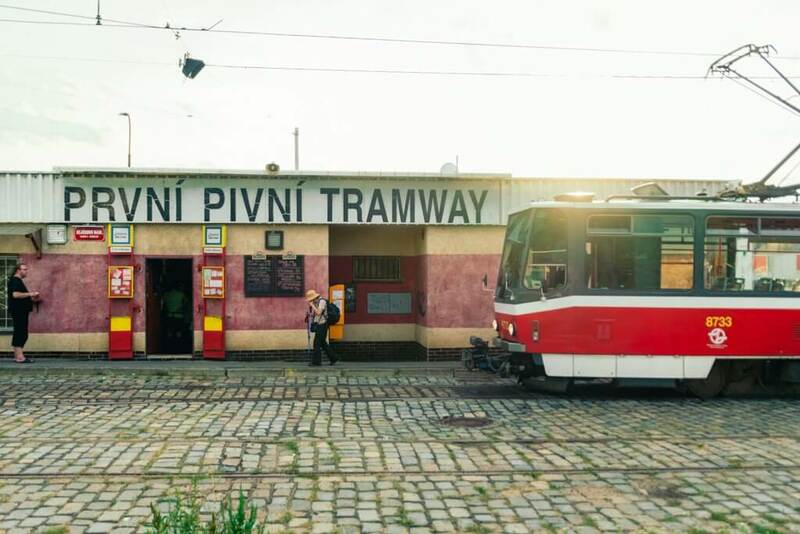 This tour was a blast and our guide took us to some of the coolest spots we would have never found on our own like Beer Tram, a tiny microbrewery on the outskirts of Prague located at the end of the tram line. Want to learn more about beer in Czech Republic? Check out the Tale of Two Budweisers about the ongoing feud between both the Czech and American brews. Also, if you love beer check out the beer trail in South Bohemia visiting castles and breweries on a 4 day excursion! 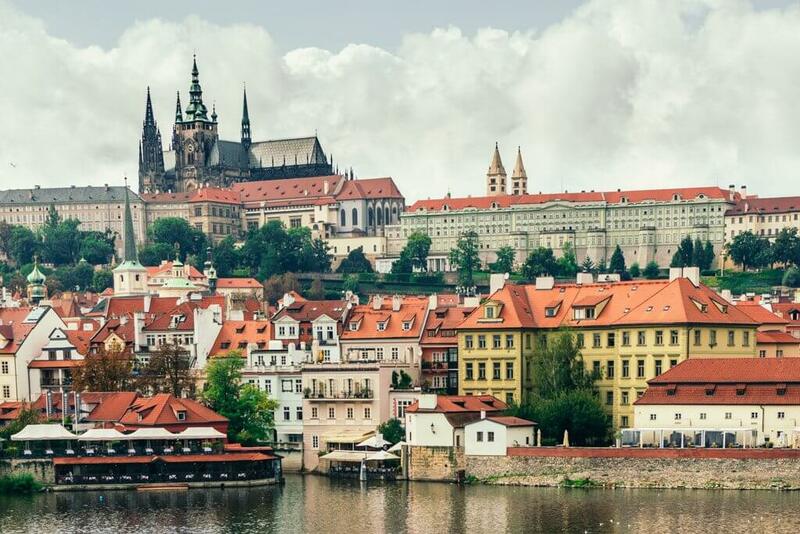 Take a boat tour through the Vltava River and through Prague’s Venice. There are even movie scenes shot here instead of going to the actual Venice. The river cruise is a fun way to tour Prague and see the city from the water. English tours are available and each tour comes with free beer and ice cream! Scattered along the Vltava River are several boat bars and nightclubs where partygoers spend their evenings drinking until the wee hours of the morning right in the heart of Prague. 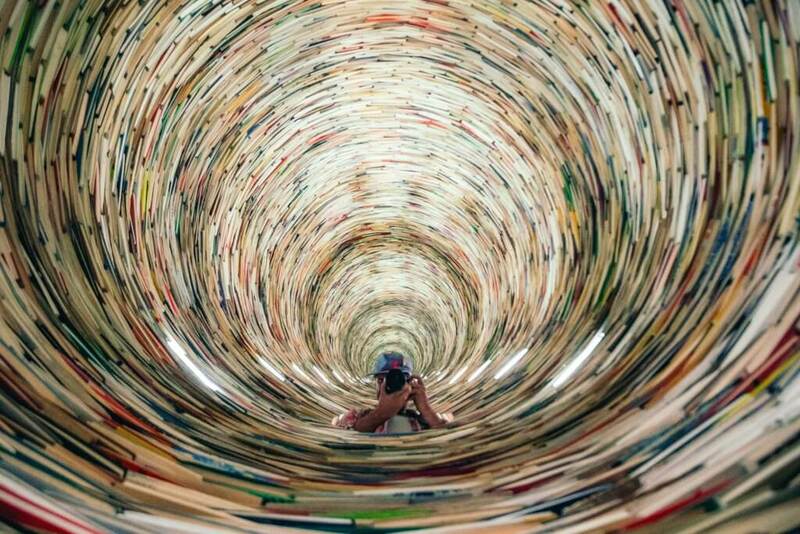 This is one of those things to do in Prague you can’t find anywhere else. We tried a few beers at (A)void Floating Gallery and it was a blast. 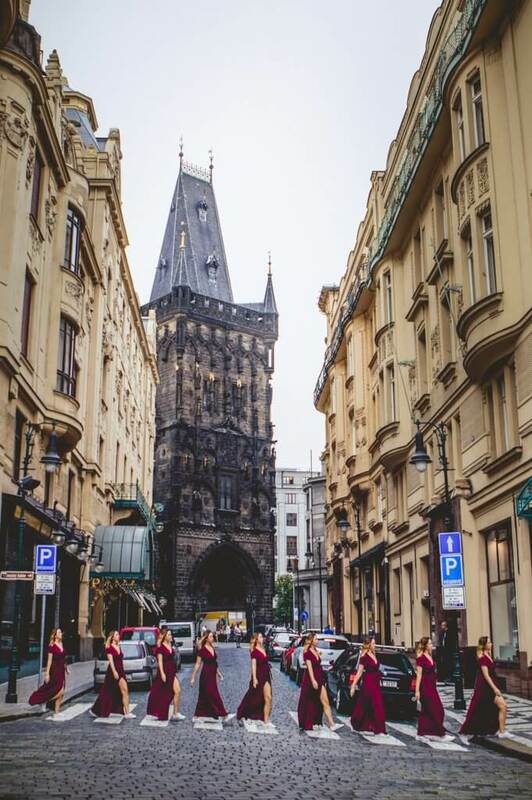 If you’re looking to experience more of the Czech Republic outside of Prague we recommend checking out the tour operator CZ Experience in Prague. This small, independent husband and wife duo offer unique things to do in the Czech Republic through private and customized tours and transport. We experienced the Slapy Water Reservoir day trip with them from Prague where we got to experience a locals only getaway. 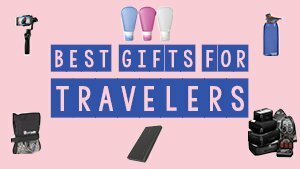 They offer packaged private tours if you’re not sure what you want to do or they will take you anywhere you want to go plus give you the history and all the best local spots and recommendations along the way. Getting around Prague is super easy and convenient. We recommend using the local transportation either the subway, buses or streetcars. You buy your ticket based on time from as little as a half hour to a day, week, or monthly passes and its super affordable, about 24 CZK (~$1.30) for 30 minutes. Purchase single-use tickets at metro stations and validate your ticket before your ride to start the time. For longer passes you can find a ticket office at many metro stations, but please note that some do close for lunch and are open from 6:30 am to around 6:30 pm. If you want to use a ride share app try the local app Liftago or Uber. We recommend skipping out on taxis here as they have a long running history of ripping off and scamming tourists. Honest Guide has done an extensive expose on this in their Prague vs. Crooks series and it’s really interesting. As far as getting to Prague it couldn’t be easier with budget airlines and Europe’s well-connected train system. The local currency is the Czech Crown (czk) and comes in notes of 100, 200, 500, 1000, 2000, & 5000. Some places will accept Euro but do pay attention to the exchange rate they are giving you. You can access money by using an ATM, we recommend pulling out a large sum at once if your debit card has ATM and International Fees. Avoid moneychangers at all costs. There are scams and you could get ripped off big time, Honest Guide did another series on this and have provided a helpful video to tell you where to exchange your money instead. Also, this one seems like common sense but we have to mention it. Do not exchange money on the street. There is a scam where someone will try to tell you they will give you a better deal on the street and give you ruble instead of czk which is worthless or even counterfeit money. 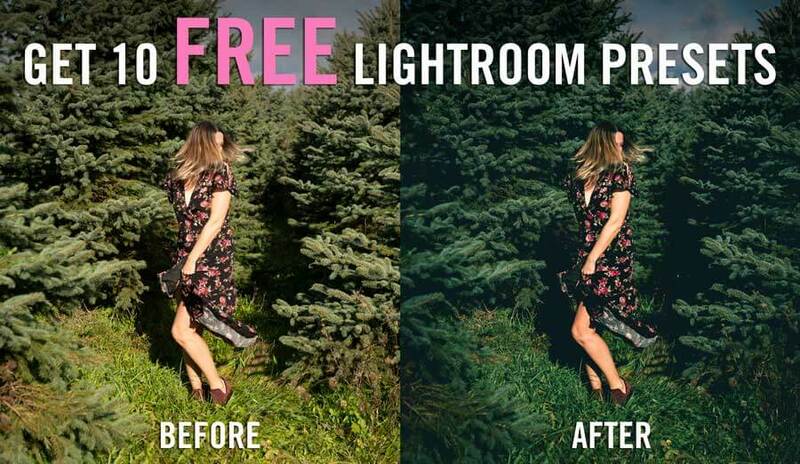 Don’t fall for this! 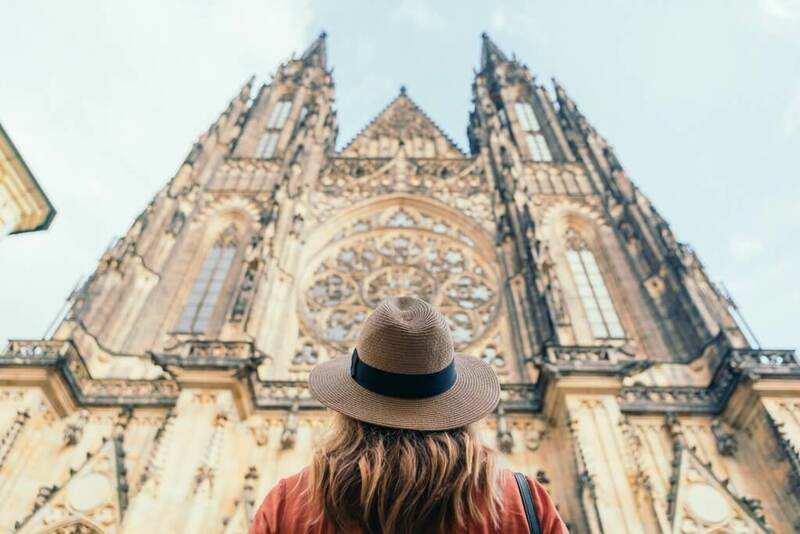 If you want to experience the iconic things to do in Prague then we recommend looking into purchasing the Prague card to decide if its right for you. The Prague Card offers admission to Prague Castle, Petrin Tower, Jewish Museum, Old Town Hall, a 2 hour bus tour of the city, free public transport on the subway, buses, and streetcars, airport transfer, and free admission to 50 attractions and discounts on many other attractions including restaurants, concerts, and tours! You can buy Prague card passes for the length of 2-4 days ranging from 58 Euro to 78 Euro, which is a steal of a deal if you plan because you will break even if you only do a few of the attractions included with the Prague Card. Buy your Prague Card in advance here. 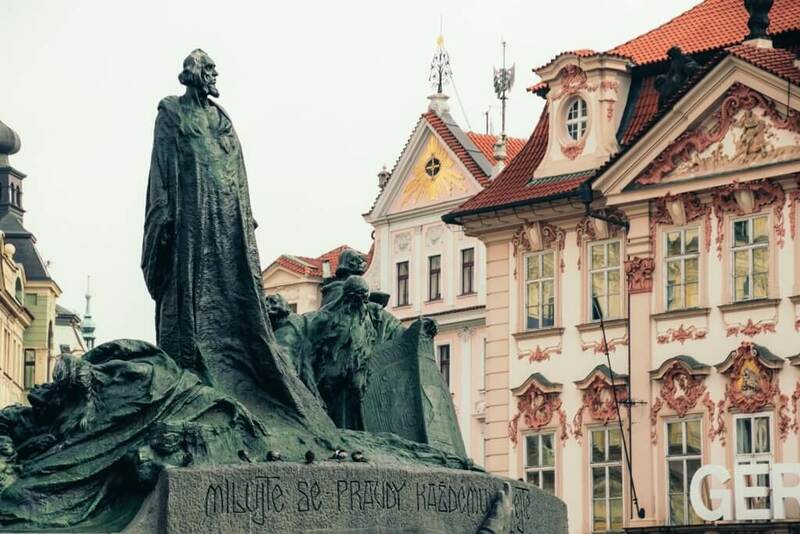 Be sure to check out our Czech Republic travel guide for basic tips and information you need to know before your visit as well as our itinerary for the Czech Republic to see more than Prague as well as unique things to do in the country. 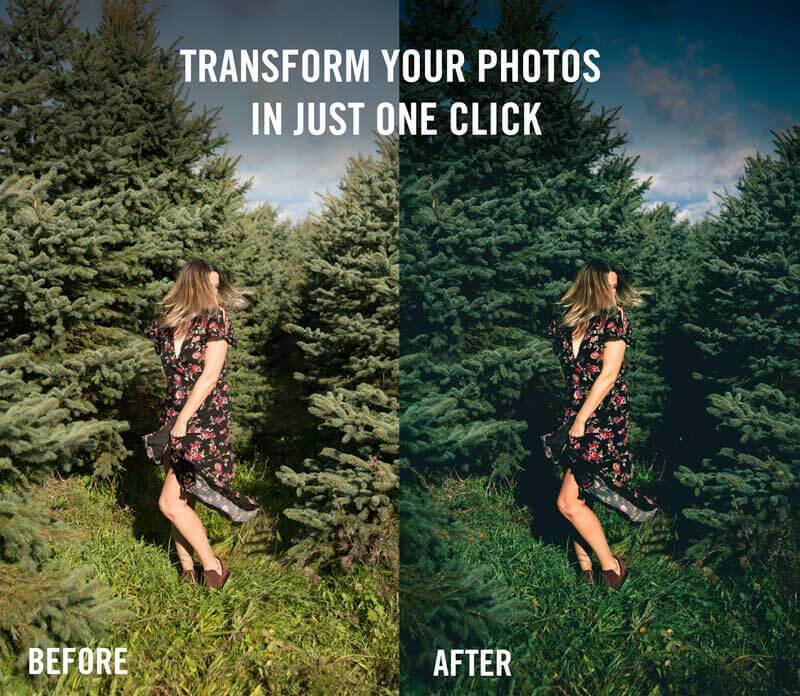 Liked this post or found it helpful? 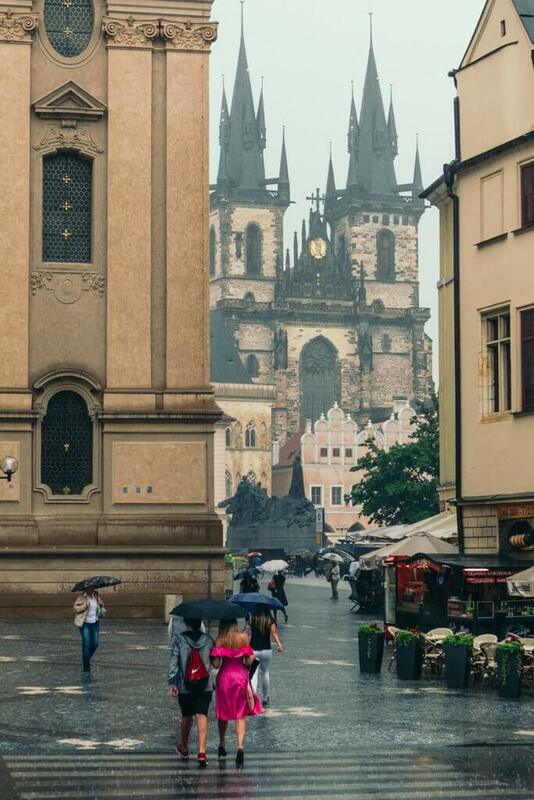 Share the love on Where to go and Best things to do in Prague below on Pinterest!